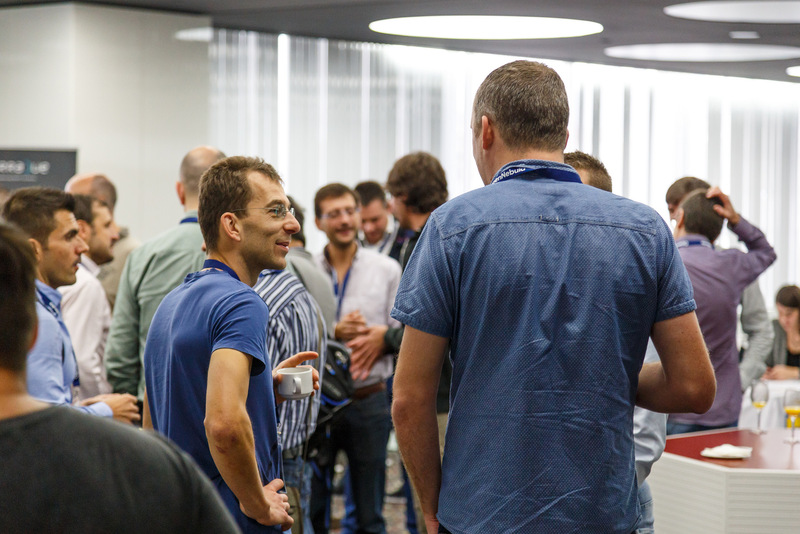 The OpenNebula newsletter brings the latest news, advances in the technology, community work and the dissemination efforts carried out by the OpenNebula project this month. We bring some big news this month! There will be two OpenNebulaConf editions this year, one in US and the other in Europe. The US edition will take place on June 19-20 in Cambridge, Massachusetts, and the european edition will be held in Madrid, Spain, on October 23-24. A new maintenance release of OpenNebula 5.2 was released, OpenNebula 5.2.1. This release brings minor improvements in the SDRS clustered vcenter datastores, vlan management and the ec2 driver set. Also, a significant number of bugs have been fixed in 5.2.1. The team is grooming OpenNebula 5.4. A lot of new features are being worked upon, with a focus on the vCenter integration. Besides all the improvements described in our December newsletter, we’ve decided to introduce a very demanded feature in the vCenter drivers, the ability to create linked clones from OpenNebula. A linked clone is a copy of a virtual machine that shares virtual disks with the parent virtual machine in an ongoing manner. This conserves disk space, and allows multiple virtual machines to use the same software installation. This requires a special VM Template with snapshots included, the import process will allow to change the VM Template to meet this requirement or alternatively clone it and change it so it does. Nice and simple! You can check the full planned change log in the development portal. New contextualization packages were released as well. new versions of the OpenNebula contextualization packages for Linux (ver. 5.0.3) and Windows (ver. 5.2.0). For Linux, this is mainly a bugfix release with 2 significant improvements. For Windows, this is a very first release, newly distributed as the MSI package. And last, but by no means least, vOneCloud 2.2 is already out! This release brings the improvements of the latest Excession release to the appliance. vOneCloud is zero intrusive (although it fully manages the life cycle of VMs), try it out without the need to commit to it. If you don’t like it (as strange at that may be!) you can just remove the appliance. This last month we announced officially the OpenNebula Champion Program. Champions are passionate volunteers who work to connect, teach and spread OpenNebula. 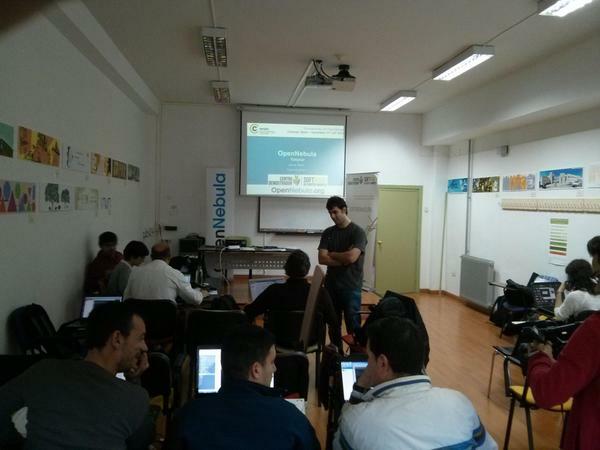 They represent OpenNebula and help to teach and spread OpenNebula, throughout the world. vOneCloud is solving a big problem in the self provision of VMware resources. An excellent article in The Register beautifully lays out the simplicity it introduces in a sometimes overbloated paradigm. Being named as one of the five open source tools admins need to know is an honor. It is a real luxury to count with excellent members (and Champions!) in our community. This extra testing makes OpenNebula more robust and more production ready, and we deeply appreciate that. We also get to receive outstanding contributions like this one, enhancing the virtual router with Load Balancing features. Amazing, big thanks from the team! And keeping the ecosystem up to date is not small task either, so this update of the Nagios Probes for Monitoring OpenNebula and OCCI is good news. 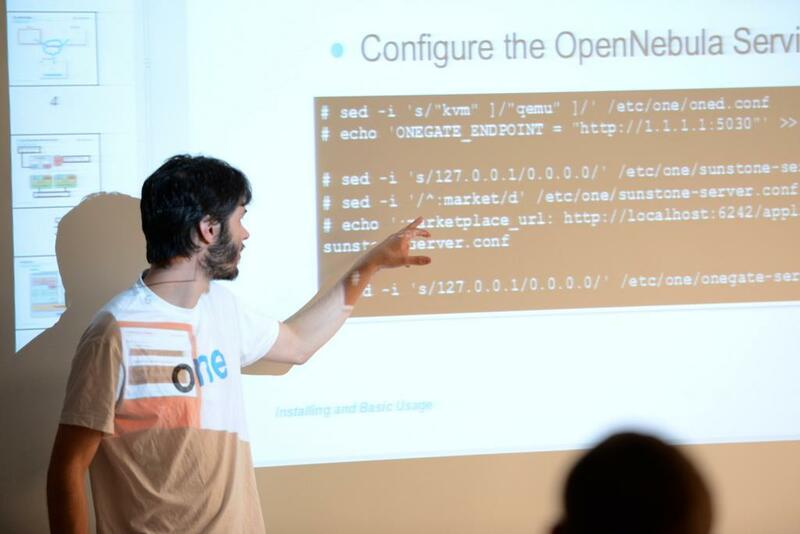 If attending the OpenNebulaConf is giving you trouble (because you cannot miss it! ), then make it double. This year there will be two editions of the Conference, one in US (in Cambridge, Massachusetts), and the other in Europe (this time in Madrid, Spain). 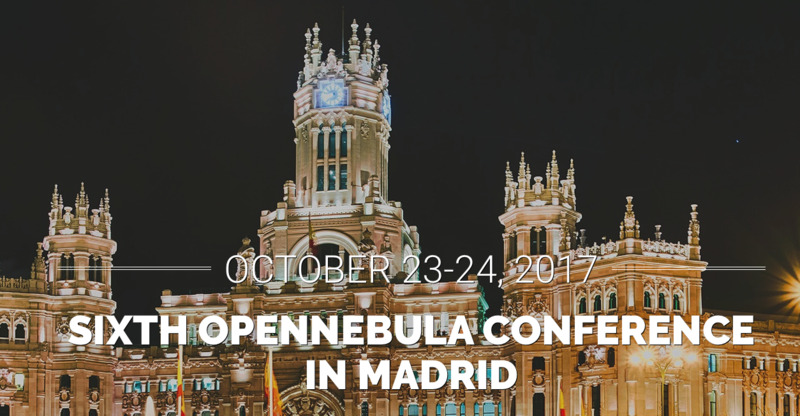 If you are wondering what the OpenNebulaConf looks like, check the post with the material of 2016 OpenNebulaConf. Check out the YouTube channel, download the slides from the slideshare account or take a look to the pictures of the conference. The OpenNebula Cloud TechDays are events designed to learn about OpenNebula with a hands-on workshop on cloud installation and operation, and presentations from community members and users. We’ve announced the list of TechDays for 2017, check them out to see if one is happening near your place and register!. This year there will be TechDays in Prague, Nuremberg, Madrid, Sofia, Barcelona, Vancouver, San Francisco, Ede, Hluboka, New York and Almendralejo. Are you looking to get into the cloud professionally? If you are looking to work in an agile environment to develop new features and integrations and participate in the upstream community, this is your chance. Check out the OpenNebula Systems vacancies if this is the case, we are currently interested in Cloud Developers and Community Specialists. We want to let you know that OpenNebula Systems has just announced the availability of vOneCloud version 2.2. Support for clustered Datastores, SDRS clustered datastores are now visible in vCenter. Better Sunstone support, with host dropdown option in DS creation and image import. Network monitoring, now vCenter VMs network traffic is accounted for in OpenNebula. Limit VM Network consumption, with specific values available in each of the NICs of a Virtual Machine. More useful vCenter networks import, importing networks with the same name in different clusters is now possible. More useful vCenter datracenter import, importing datastores skips those not associated with any cluster. OpenNebula Systems will run a booth at VMworld 2017 US in Las Vegas on August 27-31 and VMworld 2017 EU in Barcelona on September 11-14 where they will demo the new version. We are happy to announce new versions of the OpenNebula contextualization packages for Linux (ver. 5.0.3) and Windows (ver. 5.2.0). For Linux, this is mainly a bugfix release with 2 significant improvements. For Windows, this is a very first release, newly distributed as the MSI package. User $USERNAME is created, if missing. The user password can be also Base64 encoded in context. variables $CRYPTED_PASSWORD_BASE64 or $PASSWORD_BASE64. Race condition has been also fixed to create the $USERNAME first and contextualize the SSH access later. Refactored code is used to set host and domain names (via $SET_HOSTNAME or $DNS_HOSTNAME context. variables) in a more standard way. Platform dependent scripts were replaced by single unified script. Also, the hostname entry in a local static lookup table (/etc/hosts) is created and even updated on the IP configuration change (PR). Big thanks to Florian Heigl for designing the change request and time spent in testing. Jan Kasprzak provided a patch (PR) for the Red Hat-like systems to disable IPv6 autoconfiguration and by default enable the dual-stack on configured interfaces. This behavior was also fixed for Debian-like systems (PR). C. R. Oldham provided a patch to support growroot with Btrfs (PR). Windows contextualization is started as the Windows service named onecontext (under rhsrvany wrapper). Please remove any existing contextualization (and its startup mechanism) from your virtual machine before installing this package. You can download the Linux and Windows packages here. Packages are compatible with the OpenNebula versions from 4.6 to 5.2.